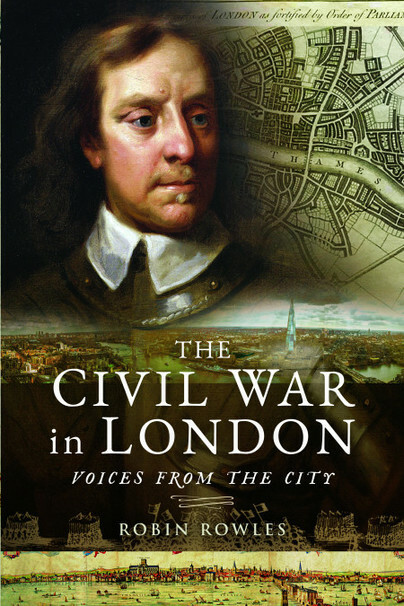 You'll be £12.99 closer to your next £10.00 credit when you purchase The Civil War in London. What's this? The Civil War years of the 1640s were amongst the most tumultuous in British history. The conflict between King Charles I and Parliament strained and split the social fabric of the British Isles. People of all classes who had previously co-existed peacefully found themselves opposing each other on political, religious, and economic grounds. Society was literally 'by the sword divided'. Much has been written on the subject to date. This book is different. London is its focus, with key players such as the Lord Mayor, the livery companies, the Church, and citizens, viewed through the city's lens and the streets around St Paul's and Cheapside. In looking at seemingly everyday events, unusual questions are raised: for example, where can you find a little known statue of Oliver Cromwell; what happened to the Cheapside Cross; who was Nemehiah Wallington and why was he important? The result of a London walk devised by the author, the book’s learned yet accessible approach will appeal to anyone interested in a new way of looking at a popular event in history. Bookended by the death of a Tudor queen and the beheading of a Stuart king, its chapters walk us through what happened in-between. Highly recommended. The book starts by offering an overview of early Stuart rule and the outbreak of rebellion. Has some thought provoking material for someone who has already studied the period, but a reasonable introduction for those who haven't. Only occasionally does the writer assume that the reader is already familiar with the subject. Very useful work showing the role of city finance in supporting Parliament and how the various trades and other enterprises were crucial in keeping opposition going against the monarchy. However, makes the point that there was always at least some pro-Royalist support, along with some citizens who changed sides when it suited them. The use of London apprentices , particularly in relieving the siege of Gloucester in 1643, is also looked at. The writer's knowledge of the City of London- he is a respected tour guide- dates back further than the early Stuart era and extends well past the Great Fire of 1666. Military history is not a major theme as such. Radical groups such as The Levellers and the Fifth Monarchy Men are featured but again not in a great detail in the book. . And this is probably one of the book's strengths- the writer is offering their own unique angle on a topic that they know well whilst the extensive endnotes show how they have also built on existing scholarship. A real achievement. Robin Rowles takes a somewhat old-fashioned approach and the book is none the worse for that. He is impeccable in the way that he credits his sources and the views of his fellow historians, and he ensures that those with only a limited understanding of the causes of the English Civil War have these background factors explained. He then tackles his subject thematically. The book takes you through the streets of the City and is good preparation for accompanying Robin on one of his London Civil War walks, which he lists with those on Sherlock Holmes and others on. Robin Rowles studied history at Birkbeck, University of London, where he developed a love of the early modern period and civil wars. After graduation, Robin qualified as a City of London Guide Lecturer and offers a diverse portfolio of guided walks in the Square Mile, ranging from Sherlock Holmes themed tours to Civil War walks. Robin’s day job takes him all over London and beyond, but he thinks of the City as a special place.